Alcoholics crave alcohol and they can’t control how much they’ll end up drinking once they start. They require ever increasing amounts and if they stop drinking suddenly they’ll experience dangerous withdrawal symptoms. 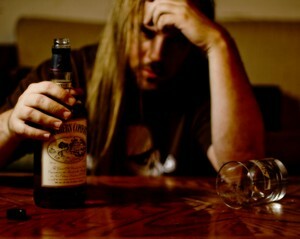 Alcoholism devastates the body and mind as it wreaks havoc on personal and professional relationships. Left untreated, alcoholism is a fatal disease - but with appropriate treatment, this disease can be managed and permanent remission achieved. Learn to spot the warning signs of alcoholism, learn the difference between alcohol abuse and alcoholism and learn more about the effective treatments that can get you, or a loved one, sober, happy and healthy once again! An alcoholic is a person without control over their drinking. A person who drinks despite the harms it does to them and who feels a strong desire to drink alcohol.